This Friday, The Pickle Factory hosts Jane Fitz's final resident party of the year, with a truly special lineup in tow. 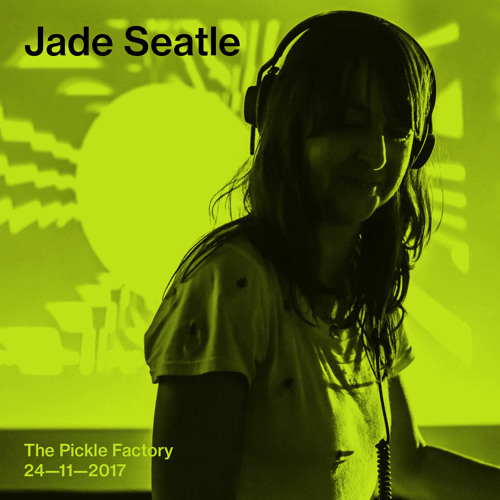 Jade Seatle, co-founder of Night Moves and a DJ & digger without equal, returns to Pickle for only her third gig of 2017. Jade is a DJ we have long admired, so ahead of the gig, we asked her for a mix. What she sent us is one of our favourite podcasts to date. Deep, beautiful house and techno records, many of which Seatle acquired during a road trip to Movement Festival five years ago. In Jade's own words: "I recorded it in 2012, shortly after Jane and I returned from our road trip to the US for the Movement Festival in Detroit. I was feeling energised by my experience there and inspired by the people I'd met and the music I'd bought and been given from people like Patrice Scott, Hakim Murphy, Amir Alexander, some of those records have been featured in this mix."